G: Tell us about the project? What did inspire this project? The Urban Food Fest is London’s newest and coolest street food market, bringing together London’s hipsters to one location. There is an ever changing line up of 15 street food traders who come from across the UK with an incredible drinks bar to compliment the food, as well as live bands and entertainment. After travelling the globe and tasting fabulous street food in Mumbai, New York and Tokyo to name a few, I realised London is majorly missing out on the street food craze. So, I thought it was about time that a gourmet ever changing street food market was brought to the centre of London. Hence the launch of the Urban Food Fest. G: What is unique about the project? No other street food market in the UK combines so many cuisines whilst encapsulating what Shoreditch is about, plus the unique extras of live music from up and coming singers and bands. G: When and where it will be happening? Every Saturday night from 5pm until midnight, up until and including the 12th of October, at the Euro Car Parks at 163-175 Shoreditch High Street, London, E1 6HU. Come hungry! G: Have you got any special events planned there yet? 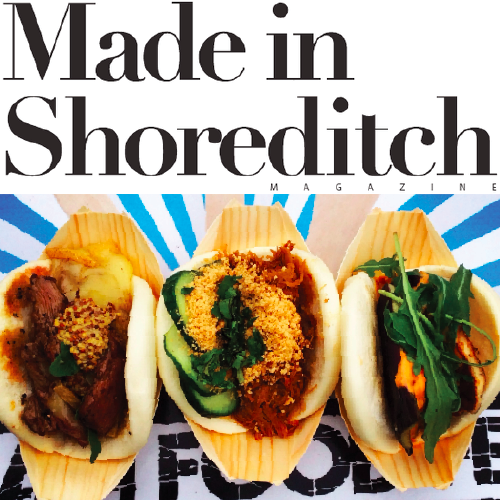 Each week is special as we have a unique line up of street food traders. Some of the weekends are themed, such as the Oktoberfest Food Fest on the 28th of September. G: What are the main challenges in launching this project and how are you overcoming them? The main challenge was launching a brand new event. However within the first week the Urban Food Fest was getting incredible write ups, in all the major newspapers, magazines, food blogs and journals, so we very quickly overcame that problem! G: Why did you choose Shoreditch to launch this project? East London is the birthplace of British street food and so it was obvious that our first location needed to be there. We were exceptionally lucky to find a location right on Shoreditch High Street, so close to three major stations, ensuring huge amounts of passing trade.